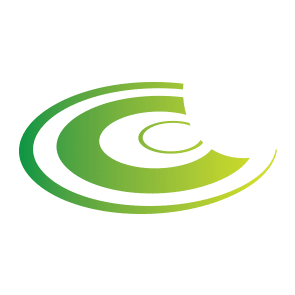 Ccentric Group is one of Australia’s leading healthcare executive search firms. Whether you’re looking to further your career as a healthcare professional or trying to fill a skills shortage in your organisation, we can tailor our recruitment services to suit all circumstances. From medical positions to corporate jobs, we source healthcare leaders across every part of the industry, including executive and corporate leadership roles to clinical and clinical academic management. With executive search teams servicing Sydney, Melbourne, Brisbane, Adelaide and Perth, we’re able to deliver expert recruitment resources across Australia. Having access to a nationwide network as well as our international locations throughout the world, allows us to service recruitment processes in academic institutions all over the country. We provide recruitment services for a range of healthcare sectors, including the ones below. As one of the largest employers in Australia, hospitals and health services contain a wealth of professional opportunities. By keeping pace with employment trends and our expert market knowledge and networks, we can enhance the recruitment process across all sectors of healthcare. Ccentric can offer healthcare recruitment services to state and federal government departments. Our commitment to meeting the changing needs of the industry ensures every government-funded organisation we work with helps ensure the provision of world-class healthcare services. We deliver recruitment solutions for highly specialised medical treatment and diagnostic healthcare providers. Our team find leadership talent across the full range of medical, nursing and allied health fields, giving clients the best possible chance of meeting their staffing requirements. Our well-established network of contacts in the sector allows us to recruit for many primary, aged and community-based organisations. Ccentric understands that hiring leaders with the right skills and experience is essential to improving the lives of consumers in primary, aged and community care. Playing a rapidly expanding role in the industry, private equity-backed healthcare offers exciting opportunities across a range of specialisations. With strong financial backing, this part of the healthcare sector is perfectly positioned to grow and innovate. We don’t just recruit for roles in healthcare service environments – insurance forms part of our healthcare recruitment service. We work closely with clients to find candidates with the skills and experience needed to provide first-rate health insurance and interact with service delivery groups. You can find a full listing of our current opportunities on our full job board.